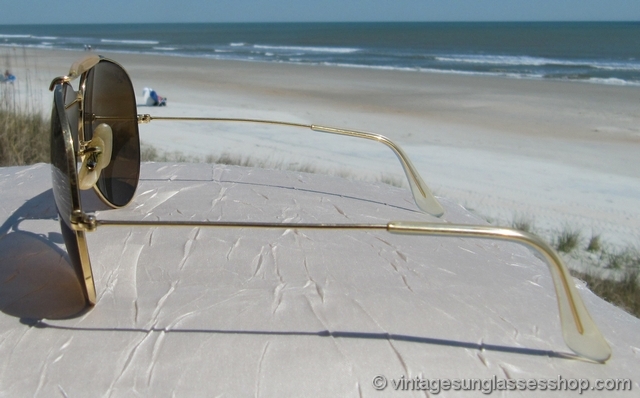 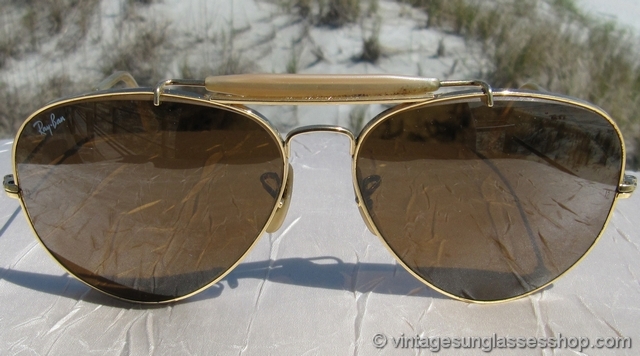 1 Vintage Ray-Ban Driving Series sunglasses c 1980s feature "The General" brow bar and Bausch & Lomb B-15 mineral glass lenses designed to enahnce color contrast outdoors, making objects appear brighter and easier to see while providing sharp, clear perception of details. 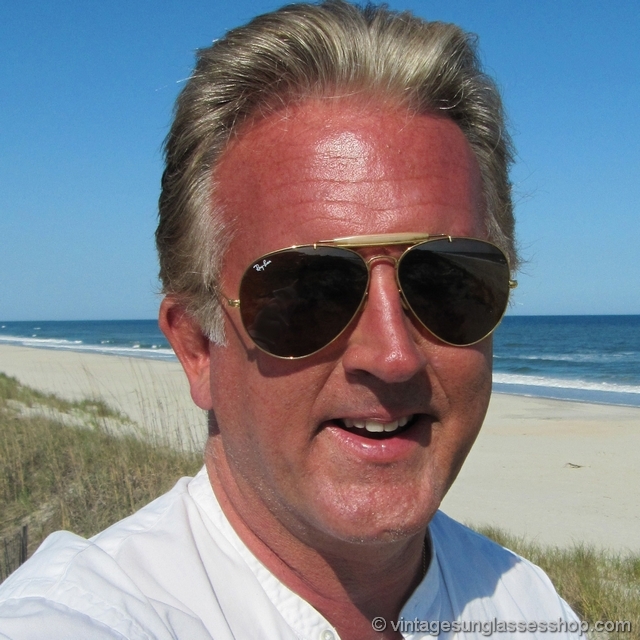 Ray-Ban Driving Series sunglasses are ideal for a wide variety of outdoor activties requiring accurate hand-eye coordintation such as golf, tennis, and driving. 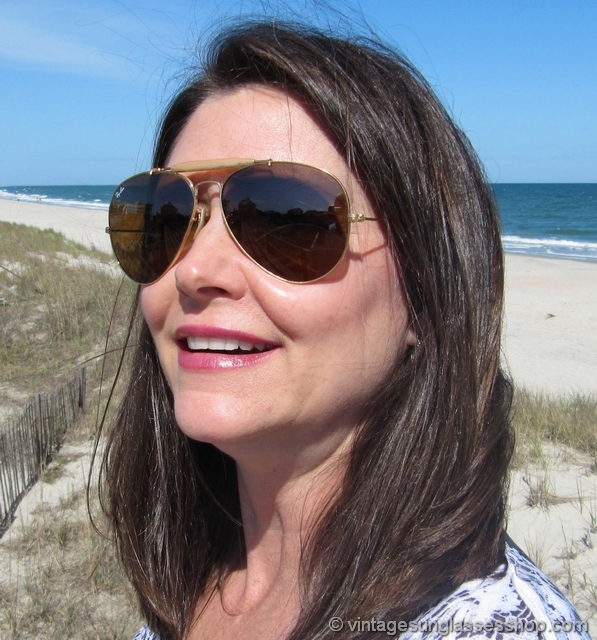 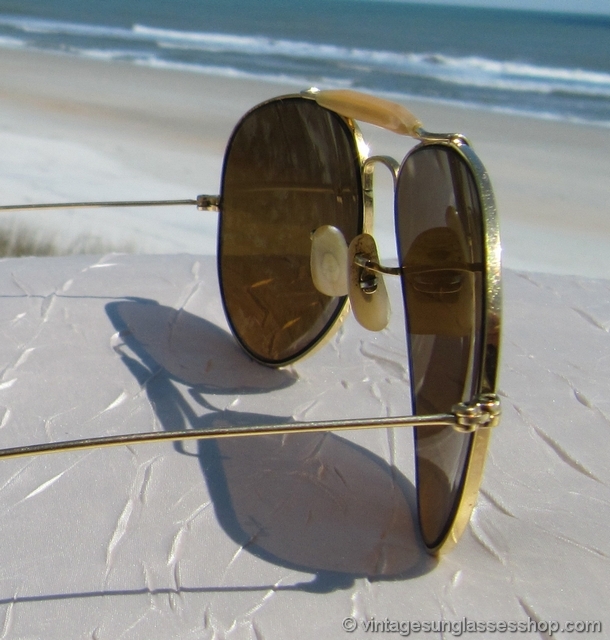 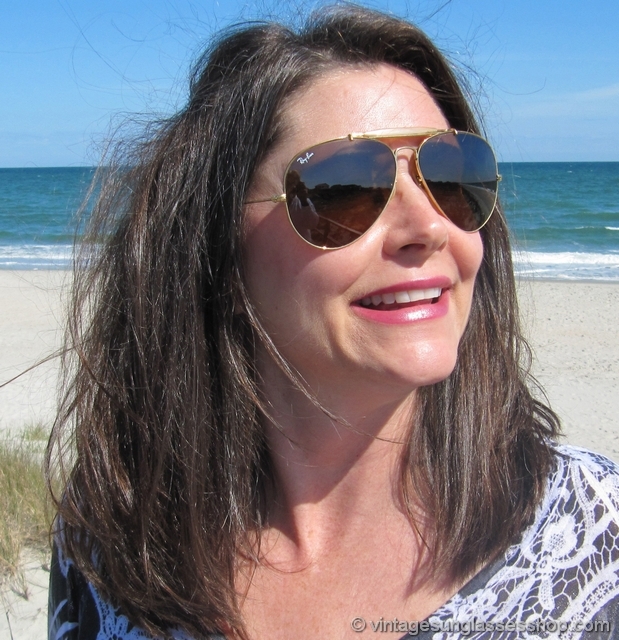 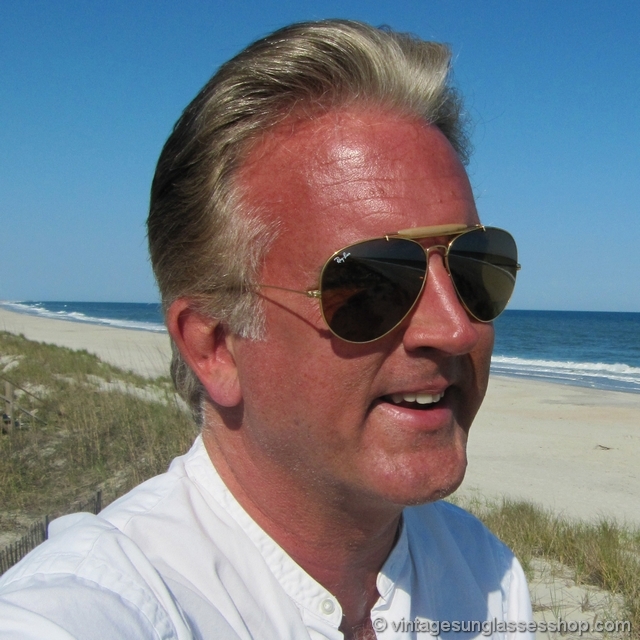 The "General" brow bar was designed to improve comfort and balance of the sunglasses on the face - so named for General George MacArthur who landed on the beach in the Philippines in World War II wearing them. 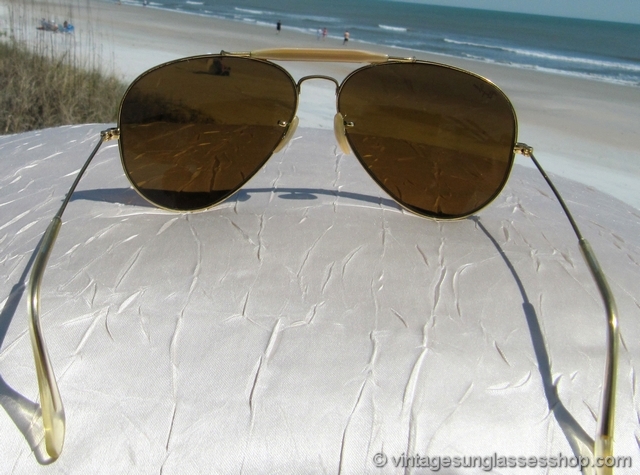 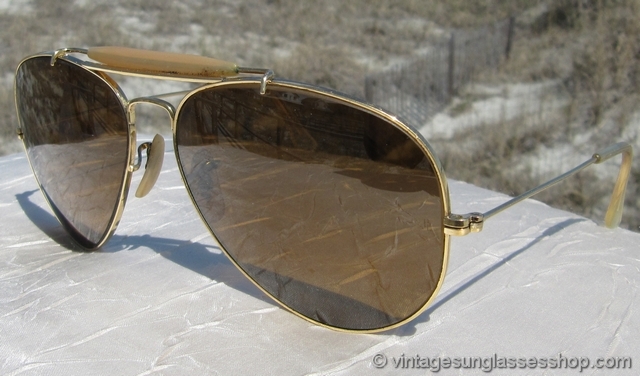 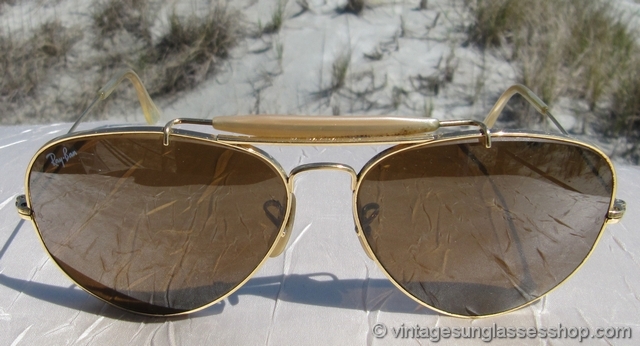 Photographers snapped several pictures of him wearing this style of B&L Ray-Ban aviators for newspapers and magazines, and Americans instantly fell in love with the style which still endures today. 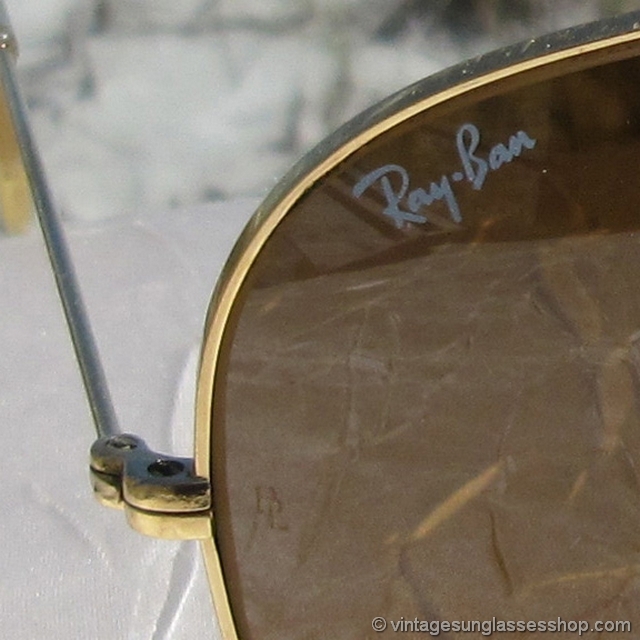 The unisex Ray-Ban frame measures approximately 5.5" temple to temple, and the brown 62mm B-15 lenses measure approximately 2.5" x 2.0" at the widest points with right lens laser etched Ray-Ban both lenses laser etched BL near the hinges. 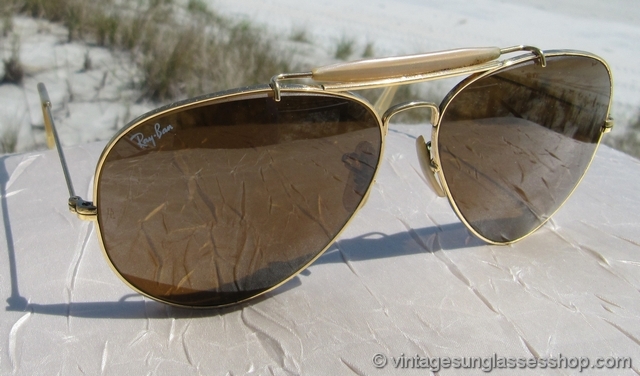 The top of the nose bridge is impressed B&L Ray-Ban USA while the bottom of the bridge is impressed B&L Ray-Ban 62  14. 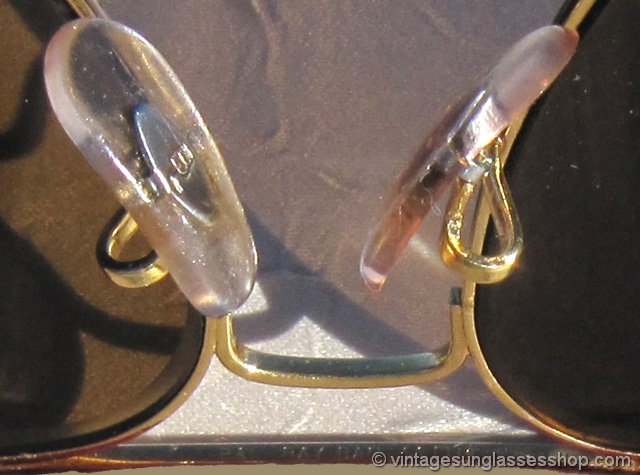 1A Identical in size, shape, and appearance, these Ray-Ban B-15 Driving Series General sunglasses were produced earlier c 1960s - 1970s pre-dating Bausch & Lomb's introduction of laser etched marks on the lenses designed to counteract growing counterfeiting. 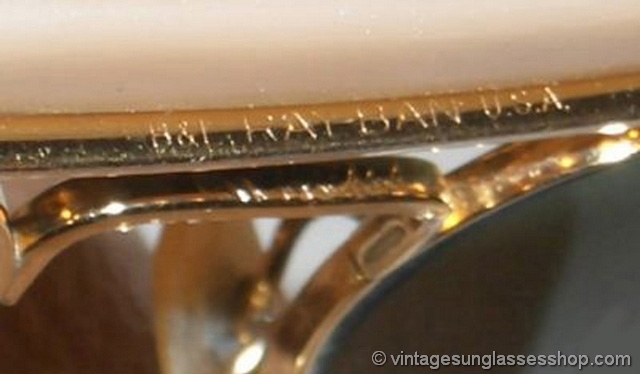 As above, the top of the nose bridge impressed B&L Ray-Ban USA and the bottom of the bridge is impressed B&L Ray-Ban 62  14.